Let us therefore come boldly to the throne of grace, that we may obtain mercy and find grace to help in time of need. Hebrews 4:16 NKJV. In the present fashion of American Christianity many flavors are jousting like mid-evil knights out for fame and preeminence in their preaching and teaching of the Word of God. A few have been knocked down and are searching for a club or a maul knock their supposed opponent off his/her high horse. Many foundational truths have run off like the knight’s horse without its rider. In our text mercy and grace are sought for the purpose of obtaining help, so many skip this part of our walk and boast about not having any needs. This is where I feel Word studies can and should help us all stay on our horse. Do you know any needy Christians? Mercy; Eleos, Strong’s # 1656. Special and immediate regard to the misery, which is the consequence of sins. Contrast this word with Charis (Strong’s # 5485), which is God’s free grace and gift displayed in the forgiveness of sins as extended to man in their guilt. God’s mercy, eleos, is extended for the alleviation of the consequences of sin. The lower creation is the object of God’s mercy inasmuch as the burden of man’s curse has redounded also upon it (Rom. 8:20-23).But man alone needs God’s grace and is capable of receiving it. In God’s mind and in the order of our salvation as conceived therein, God’s mercy His benevolent pity for the misery brought about by our sin, His pitying love, precedes His saving grace and continues to be actively demonstrated after the work of His saving grace (Rom. 2:4 ). There may be certain consequences of our past sinfulness which grace may not eliminate. For these we need God’s mercifulness. 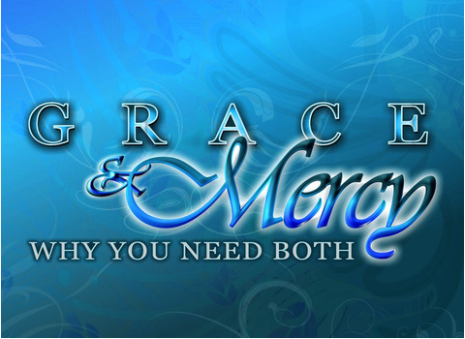 In John 3:16 God loved in mercy and gave grace in grace, but God’s manifestation of grace goes before mercy His mercy. It is always grace and mercy that we find in the apostolic salutations for we experience guilt for our sin and receive God’s grace, we also need mercy to alleviate the consequences of our sins which may remain unaffected by grace. The guilt and power of sin must be removed through God’s grace before the alleviation of the misery of sin can be experienced. The believer is to exercise mercifulness, for he can feel compassion for the misery of sin upon others, but he has no power to exercise grace since that is exclusively God’s work. “Blessed are the merciful for they shall obtain mercy,” (Matt. 5:7). Previous God is a great dancer Next Are you wrapped up in praise?